Subregions of CA6NM (ASTM 743) heat-affected zones—HAZ, were investigated in a microstructural and mechanical perspective. Those subregions suffer microstructural changes in welded joints, being considered the most critical regions in welded components. As the HAZ subregions possess very small volume, base metal was submitted to a welding simulation in the physical Gleeble simulator, which allows to reproduce the same microstructures found in real welding, allowing characterization of the different subregions in HAZ. Simulated samples were analyzed by optical microscopy (OM), scanning electron microscopy and X-ray diffraction measurements. For mechanical properties, evaluation samples were submitted to impact and hardness measurements. Microstructural and mechanical analysis for the experiments showed that δ-ferrite is found in all HAZ subregions, being related to higher microhardness and higher absorbed energy in impact. Higher heat inputs promoted higher hardness levels and higher δ-phase amounts. Technical Editor: Márcio Bacci da Silva. 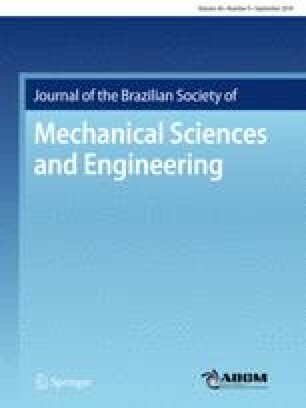 The authors acknowledge FAPESP (The Scientific Research Foundation of the State of São Paulo, Brazil) for financial support and also CNPEM/LNNano laboratories and University of São Paulo for technological and instrumental support. Finally, authors acknowledge Dedini for material supply.